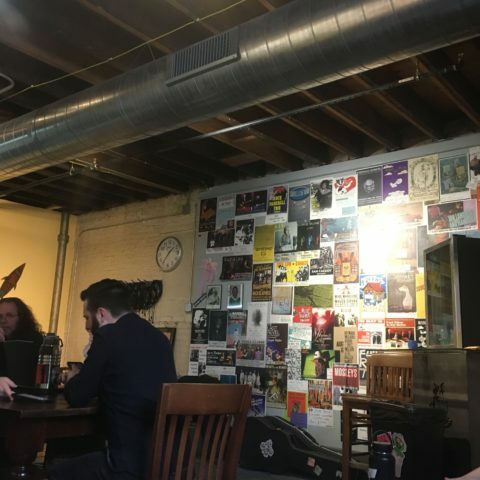 Cozy backstage at Anodyne Coffee, getting set to soundcheck. Final show of the Wisconsin Vinyl Collective run. Doors open at 3, music starts at 4. Join us at Anodyne Coffee, 224 W Bruce St, Milwaukee.